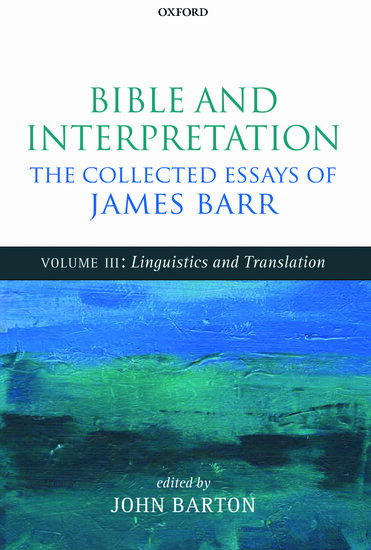 Bible and Interpretation: the Collected Essays of James Barr. Volume III: Linguistics and Translation. 2014.11.20 | Barton, John, ed. Bible and Interpretation: The Collected Essays of James Barr. Volume III: Linguistics and Translation. Oxford: Oxford University Press, 2014. £120. pp. 816. ISBN: 978-0-19-969290-3.